No matter how far life draws us from home, the tug of the familiar is always there, turning our eyes and our steps. 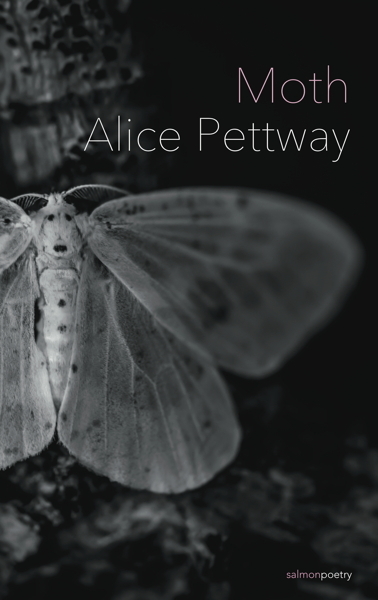 In Moth—Alice Pettway’s second collection of poetry—the light of family and tradition is so bright it sometimes singes. These poems cast the lure of the unknown against the certainty of return, an emotionally tenuous landscape captured in Pettway’s spare language. ALICE PETTWAY is the author of three books of poetry: The Time of Hunger | O Tempo de Chuva (Salmon Poetry, 2017), Moth (Salmon Poetry, 2019) and Station Lights (forthcoming 2021). Her poetry, nonfiction and fiction have appeared or are forthcoming in The Bitter Oleander, INSIGHT Into Diversity, The Miami Herald, The Progressive, Teaching Tolerance, The Threepenny Review, WomenArts Quarterly and many others. Currently Pettway lives and writes in Shanghai, China.